It is a common belief that eating even low amounts of carbohydrates increases body weight, whether the carbs are from sugar, bread, fruits or vegetables. The reason for this misconception may be that eating carbohydrates raises insulin, which then lowers blood sugar. Low sugar increases appetite so a person ends up eating more. Considering this, some people advocate significant reduction of carbohydrates in their diet. But diets low in carbohydrates are likely to lack essential nutrients from plant foods, so people may not get enough vitamins, minerals and fiber. Athletes often follow a carbohydrate-loading diet, which involves increasing the amount of carbohydrates for several days before a high-intensity endurance athletic event. 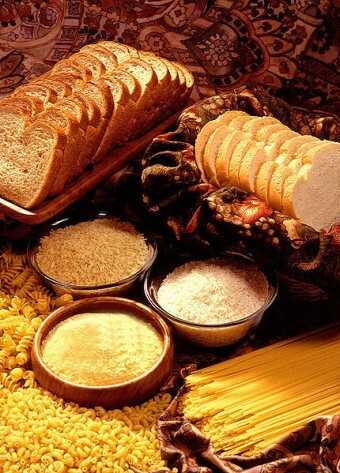 Carbohydrates are one of the most important sources of energy for the human body. Foods containing carbohydrates can’t be cut off a healthy diet because they provide fiber, sugars, and starches, which supply energy to the body in the form of glucose (blood sugar), which is the energy source for human cells, tissues, and organs. In reality, the amount of fat you gain while consuming carbohydrates depends more heavily on their type. It is not right to say that carbohydrates universally have bad effects on human body. The digestion of a particular carbohydrate depends upon the complexity of its molecular structure. The more complex this structure is, the harder the digestive system works to break it down and absorb it into the bloodstream. So, depending on their chemical structure, there are simple (natural) and complex (man-made) carbohydrates. Simple carbohydrates include natural food sugars (fruits, vegetables, milk products) and sugars added during food processing (cakes, sweets, sweet drinks) and refining. Complex carbohydrates include whole grain breads and cereals, starchy vegetables and legumes. A healthy diet would mean not cutting off all carbohydrates, but to avoid foods with added sugars as they are usually high in calories and low in nutrients. On the other hand, refined carbohydrates (white bread, refined grains, pastries, sugared drinks) are easily digested and may contribute to weight gain and promote diabetes and heart disease. Man-made carbs are digested quicker compared to natural carbs, because the more the number of processing steps a carb-heavy food has to go through,during the refining process, the easier it gets digested in the body (basically the less “steps” the body has to go through to break it down as the work has already been done during the refining process). That is why it is smart to choose fruits over processed fruit juices and whole grain bread over refined white bread. Carbohydrates which you will get from foods of these non-refined groups will not turn to fat nearly so readily. They will be stored in your liver and muscles for when you need extra energy. Recent research published in the Journal of American Medical Association shows that people following a diet low in fat and high in fruits, vegetables, and grains actually tended to lose weight, despite their heavy carb intake. So carbohydrates are not there to make you fat. Most of them provide the body with fuel it needs for physical activity and for proper organ function being an important part of a healthy diet. 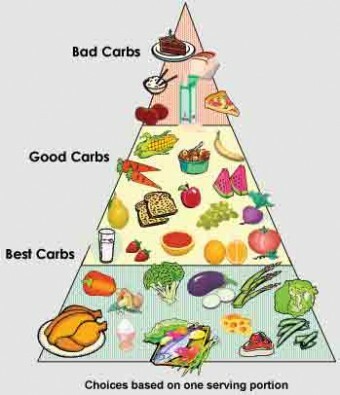 Even fans of low carb diets agree that the carbohydrate level should be adjusted to the individual. For reference, most experts recommend that 45% to 65% of the diet can be carbohydrates depending upon the individual. It is quite common for people to get carbohydrate food cravings and addicted to carbs. Some studies suggest that this happens because of a decrease in blood sugar that stimulates hunger. Foods high in carbohydrates are a quick energy source. Other experts presume that people who crave carbohydrates have low serotonin levels. Serotonin (a hormone in the pineal gland, blood platelets, the digestive tract, and the brain) helps people to feel less pain, anxiety and stress while improving mood by increasing relaxation. There is also common myth that dairy products in particular make you fat. The truth is that combined with calorie control, a dairy-rich diet can nearly double body-fat reduction and help prevent weight gain. One of the reasons for this is the hormone calcitriol in dairy products which helps conserve calcium for stronger bones while telling fat cells to convert less sugar to fat.